Deep into the sea knowing that the Beach of Kallithea has been awarded with a Blue Flag award meeting all the strict requirements set in regards to water quality, environmental management, and Safety practices. In fact we can prove it! Information on water quality, clarity, temperature and other measures are available upon request. 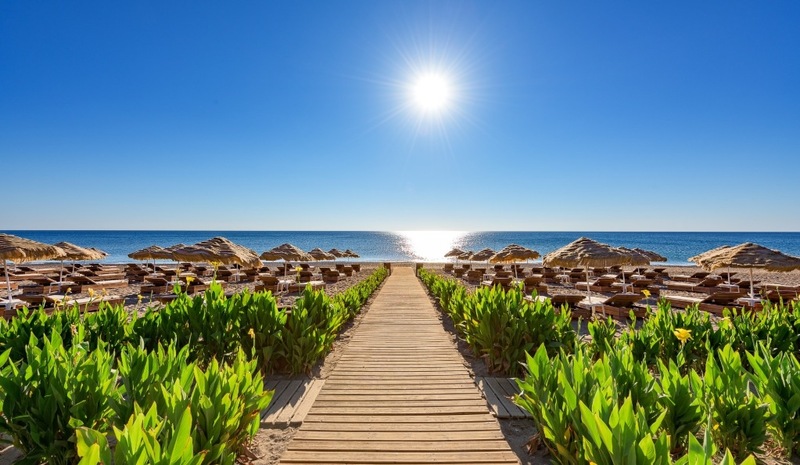 The hotel’s underground passage will lead you safely to the sandy & pebbled beach of Kalithea and if you are not fond of walking then our club cars will be happy to assist you, departing every 20 minutes from and to the hotel. On the other hand, if you prefer to stay at the hotel close to all hotel facilities know that our 7 public swimming pools (kindly note 2 of them are reserved for the exclusive use of the Adults Only area) are all filled with fresh water and cleaned daily to a high standard ensuring a most revitalizing experience. Whatever option you may choose, we‘ve got you covered! Complimentary beach towels, sun beds & umbrellas are available in abundance in both the beach and pools area. And to top it up, we are providing complimentary WiFi Internet Access throughout the resort ensuring that you are always connected sharing your news with friends & relatives. 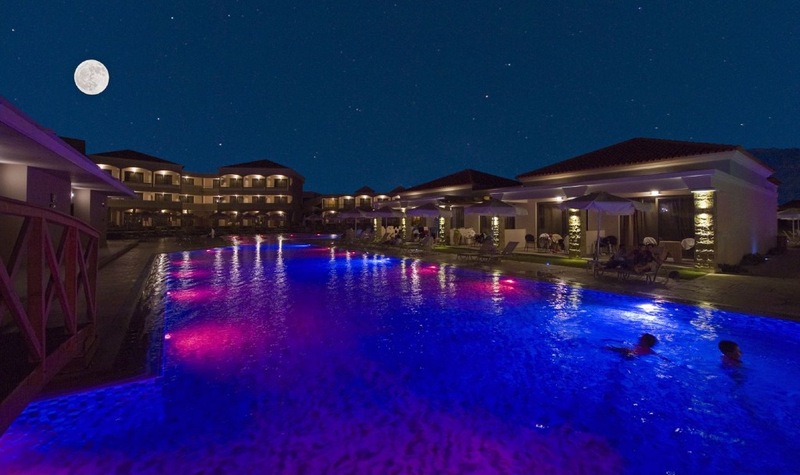 All swimming pools lay with impressive mosaic tiles and marble edges, enlightened with LED lights. At all our pools the sun beds, umbrellas and pool towels are available free of charge.